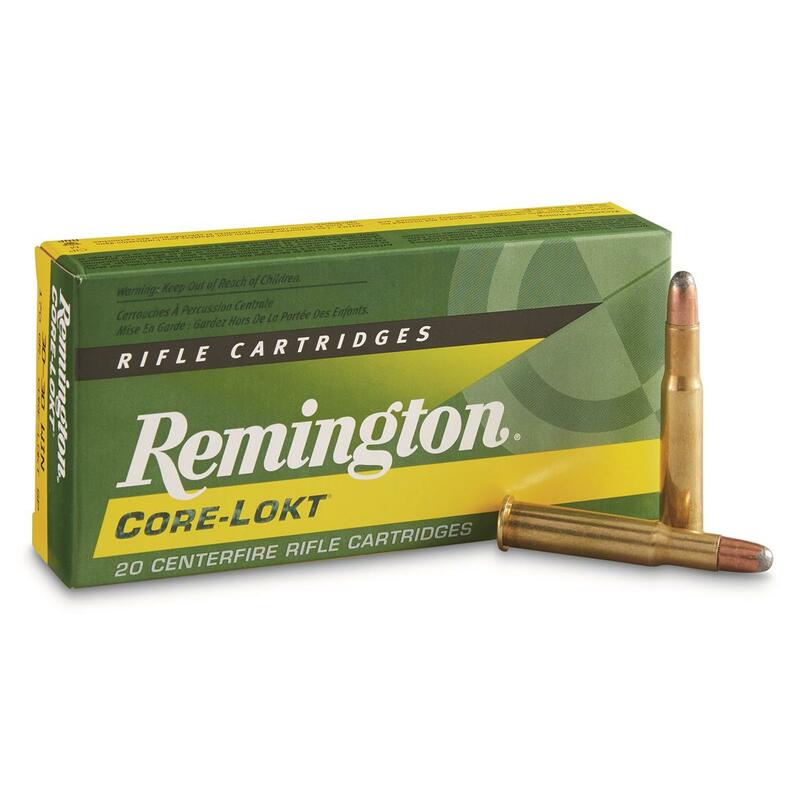 Load up for your next hunt with high-quality Remington® .30-30 Winchester Core-Lokt® Rifle Cartridges, featuring high-grade 70-30 brass cases and Kleenbore® primers. 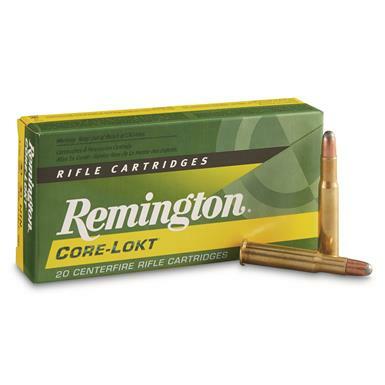 Remington CORE-LOKT, .30-30 Winchester, SP, 170 Grain, 20 Rounds is rated 4.9 out of 5 by 31. Rated 5 out of 5 by 30 Carbine from Accurate Good ammo and accurate in my 50 year old Winchester 94. Rated 5 out of 5 by Papaw 16 from Great Price! !Q Good clean quality ammunition! For the price it can't be beat!!! Rated 5 out of 5 by Lazy Loon Len from Great Ammo I've always found great performance with Remington's products. Rated 5 out of 5 by Squirrel hunter from Good speed! For a small caliber, shoots good and hard!!! Rated 5 out of 5 by Zerep11 from Clean-Burning, Hard-Hitting Ammunition Both the 150 and 170 grain ammunition fires and cycles beautifully through my scoped Marlin 336. This ammunition is also very accurate - able to hit 100 meter targets within 1.5" of center with the 150 grain; 1.75" with the 170 grain. Cleaning the weapon after firing 100-150 rounds of either ammunition is an effortless breeze. Hit the range with this. Consistent proven performance that's priced right.